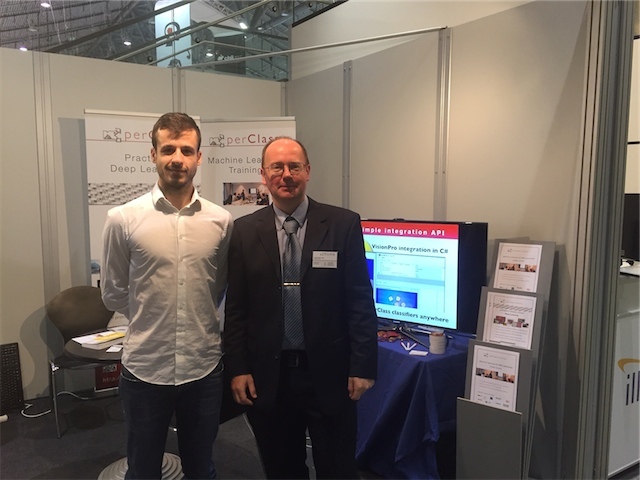 Last week, we participated in the Vision Trade Fair in Stuttgart, Germany, the world’s leading machine vision event. It was our fourth exhibition and, by far, the most exciting. While few years back, we had to explain what we mean by Machine Learning, today’s environment and public perception entirely changed. There is a massive interest in machine learning and deep learning in general public. There is also a great need for practicality, we stand for and bring to the market. 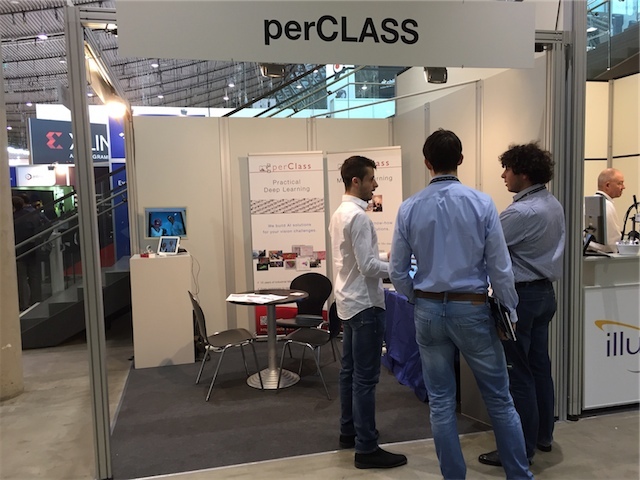 perClass raised a lot of interest in quick design of machine learning algorithms and their rapid deployment. In our talk at Industrial Vision Days, we illustrated that deep learning makes a lot of sense together with other machine learning methods. At our booth, we demonstrated a gender classifier using both, classical machine learning and deep convolutional network running in a tiny Raspberry Pi device. 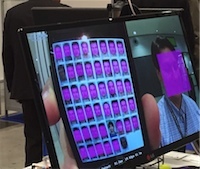 Another field of high interest is interpretation of hyperspectral images. 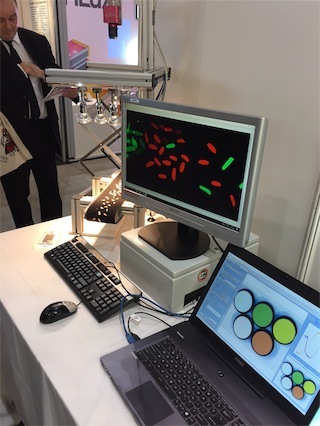 We performed number of live demos designing detection and classification algorithms for hyperspectral data and directly deploying them into a running prototype of a sorting application. 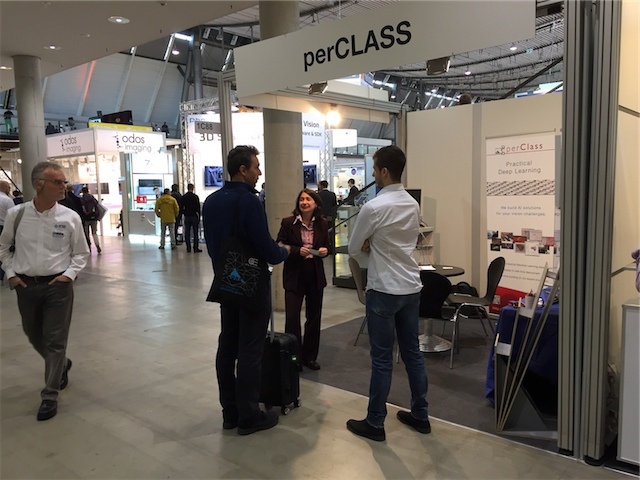 It was also great to welcome number of our existing customers and many colleagues at our stand. 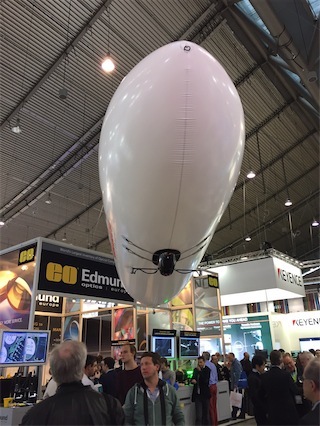 Likewise, we were happy to learn more about the latest technological progress, such as new (hyperspectral) sensors and ultra-fast processing hardware such as FPGAs and GPUs. Thank you all for coming by, it was a great fair!